When in March in many industrial companies and craft businesses workers look downwards, this is due to the new models of the dual.IMPULSE safety shoe line from ALBATROS® with which ISM is revolutionizing the PPE branch. 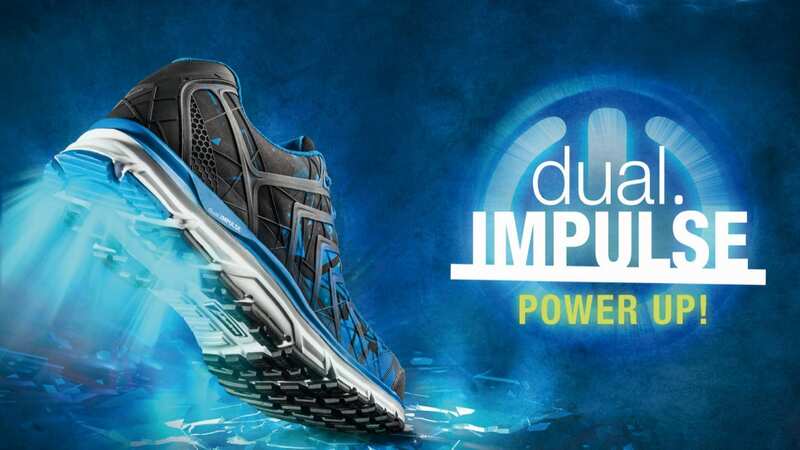 Inspired by innovative running shoes, ALBATROS® brings to the market with dual.IMPULSE the first safety shoe line with a directly injected midsole consisting of two layers of IMPULSE.FOAM each of a different density. This intelligent sole concept offers everything: a high degree of cushioning with energy recovery and stability. The IMPULSE.FOAM layer which is closest to the foot consists of a material which is significantly stronger and thus optimally supports the arch of the foot. Right under this, there is a very soft, extremely damping second layer. This construction works optimally with the individual biomechanics of the carrier by absorbing the energy during the compression while walking and releasing it after relief. Thus the full potential is used. The longer you work, the more you feel the effects of the Anti-Fatigue technology of IMPULSE.FOAM. A perfect contact with the floor is assured by the outsole equipped with a slip-and abrasion-resistant as well as up to 300° C heat-resistant (HRO) rubber sole at the strongly stressed areas at the heal and forefoot. Since the rubber is not continuously injected, wide flex grooves ensure optimum flexion and also save weight. It is pointless worrying about cutting your foot on glass shards or step on a nail with the midsole which is visible in the recesses of the outsole. The fit is very exceptional. The shaft material is innovative. The IMPULSE ENERGY, so to speak, offers an exo-skeleton with its FITFRAME®-technology. The toe and heel cap are applied without seams at the textile fabric of the shaft like the reinforcing elements at the side along with the speedlace lacing system, thus offering comfortable fit and also flexibility. With regard to the IMPULSE LIFT, a breathable mesh material takes care of a pleasant foot climate. All models of the new dual.IMPULSE are equipped with a fiber glass cap and a metal-free, FAP® flexible anti-penetration midsole. They fulfil the ESD requirements and have a breathable functional lining. Additional comfort can be achieved with the newly developed, anatomically formed and moisture-regulating ALBATROS® comfit® AIR insole with slip-resistant textile surface. The comfit® AIR has raised heel- and ball areas as well as a supported longitudinal arch which supports the natural position of the foot in the shoe. Thus the foot is relieved and the muscles stimulated during walking. Concerning the design, you will find the right option for you. From the timeless, black IMPULSE VIGOR, S3 ESD HRO SRC, available in low and high versions to the flame red IMPULSE LIFT RED S1P ESD HRO SRC (also available in blue) or the distinctive model IMPULSE ENGERGY.